Summer Treat Feature for sisterMAG! A few months ago, an interesting little email arrived in my inbox from Thea Neubauer, Editor-In-Chief of sisterMAG, inviting me to contribute to one of her editions. sisterMAG is a new digital magazine that is published bi-monthly and targets a group of females which has been neglected by traditional publishing houses and editorial departments: the many up-and-coming, well educated, very active and independent women, which are enthusiastic for the digital world and want to be presented with new and exciting content in a visually appealing way. 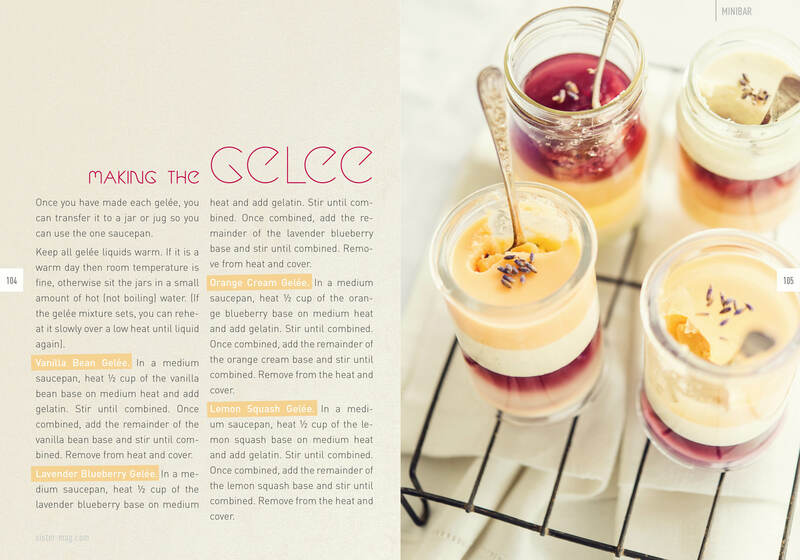 Of course I absolutely wanted to be a part of this and Thea and I brainstormed some recipe and image directions I could take for their latest issue. The theme for this issue, no.8, is ‘Grand Hotel’, inspired by the novel of Vicki Baum about a hotel in the 1920’s. The issue is divided up into sections of the hotel – the minibar, my destination! 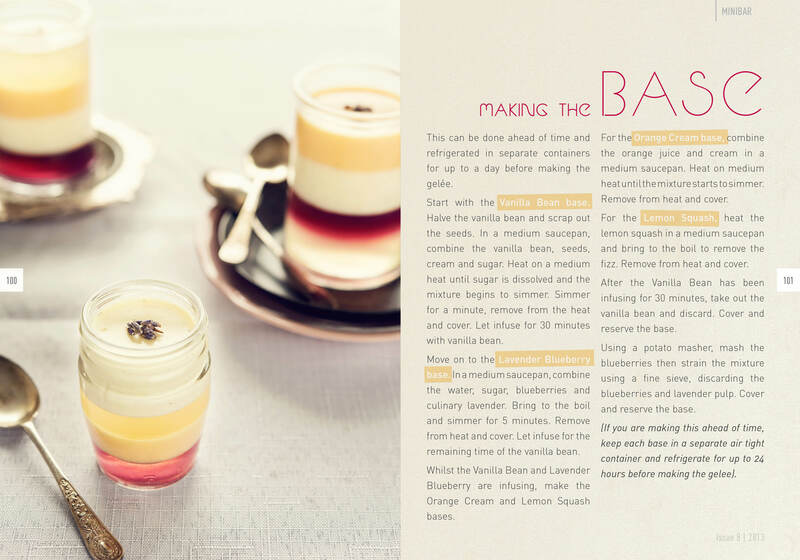 Pretty excited about my first magazine feature, I spent a few days getting the desserts perfect, the jars perfect and of course the shots. 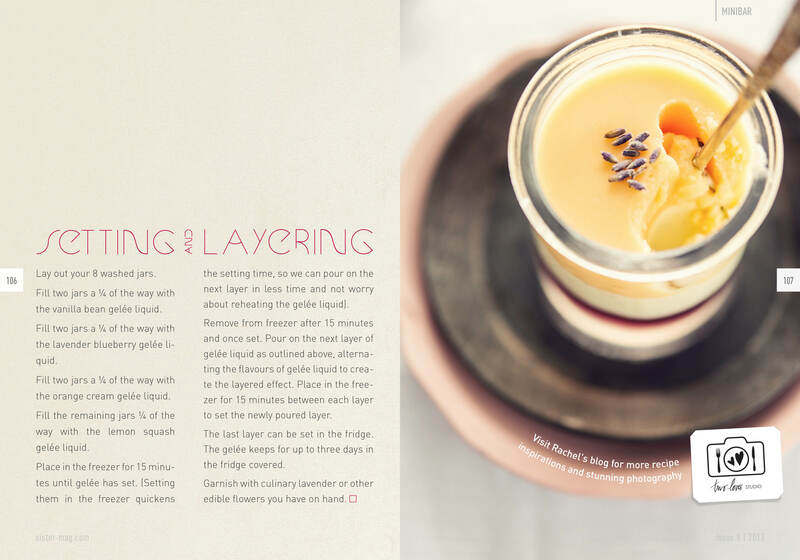 The magazine is based in Berlin, Germany and being summer right now and a summer issue, my dessert was seasonally in line – Layered Summer Gelée. Head on over and check out the article! 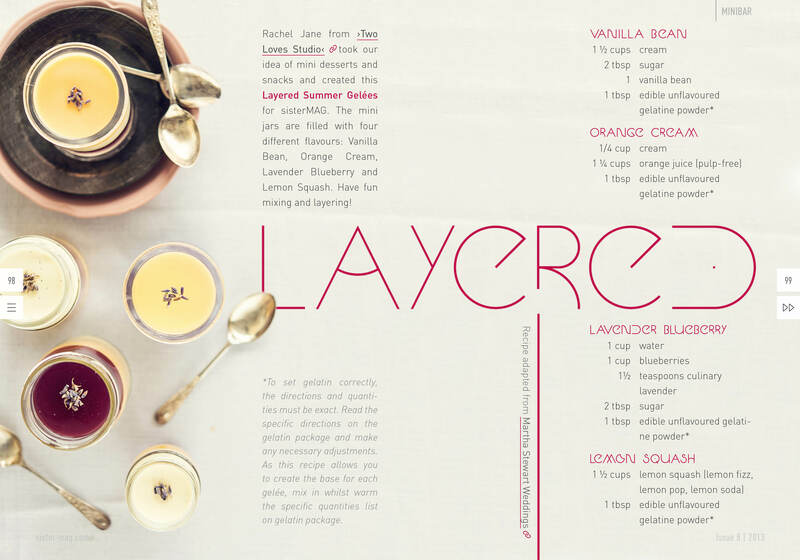 I will be posting the recipe and more pics here during the week, but there are a bunch of other awesome articles you have to check out so you can read the rest of the mag here. Awesome Rach! Congratulations. It looks really great. Congratulations on that assignment! Sounds like it was fun, and the desserts look delicious! Thanks ! It was a challenge but that’s when the magic happens. 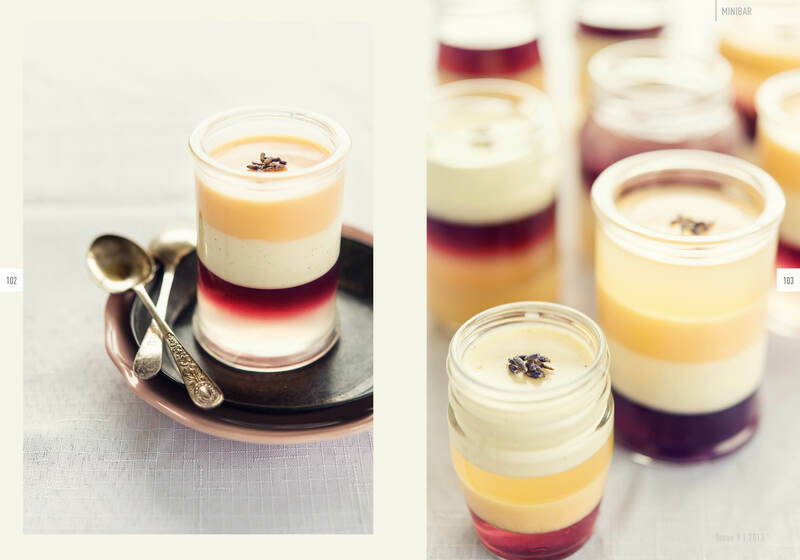 …And those little layered desserts look DELICIOUS! Thanks – it was fun to make jelly. I felt like a little kid again! It was. I hope to be doing it again! Exquisite! Absolutely beautiful work. Congrats! Thanks so much for the kind words. It was so much fun!